Organic wool carpet has a lot to recommend it. Wool is the upscale choice for carpet. It's more expensive, but it has merits that can help justify the cost. If you're undecided about going with organic wool carpet in your home, take a minute to look at the advantages and disadvantages. Organic wool carpets offer some distinct advantages over traditional carpets. Wool is a natural, breathable fiber. It helps stabilize your living space by absorbing excess moisture in the air when conditions are humid and releasing moisture when conditions become dry. Wool is naturally mold and mildew resistant. The small air chambers in wool fibers help regulate the air temperature in your room too, keeping it cooler on hot days and warmer on cold days. This will save on your HVAC bills and keep your family more comfortable. Synthetic fibers are treated with chemical additives to make them fire retardant while wool has natural fire resistant properties. Wool wears well. Where synthetic fibers mat easily and break down in heavy traffic areas, wool is naturally strong, flexible and cohesive. Wool will look newer longer, and when it does wear, it will wear less noticeably. Strands of wool are arranged in overlapping segments that keep dirt, dust and other particulates from penetrating deep into carpet pile. This makes wool easier to vacuum and keep clean. It holds color well. Wool has a luminous quality that shows vivid, rich colors to advantage. That's one of the reasons it's such a popular fabric for clothing. Wool is soft to the touch. It has a soft, inviting "hand" that makes it a pleasure to walk or sit on. It's easy to clean most liquid spills on wool carpet. There are some additional benefits to buying organic wool carpeting that may not immediately come to mind. However, they encourage safer farming practices that promote a healthier life for sheep and also help protect the environment. Organically raised sheep are not exposed to pesticides or insecticides either in their feed or when being treated for parasites and other pests. This creates wool that carries no chemical residue. Conventional sheep farming generates contaminated runoff from the process of "dipping" sheep in a chemical bath. Eliminating this practice helps preserve surrounding ecosystems. Certified organic sheep farms employ grazing strategies that are more humane. They typically allow the animals to move about in open areas and interact the way they would behave in nature. Although there are many benefits to having organic wool floor covers, there are a few disadvantages to consider before you make a purchase. Wool is more expensive than other options, and organic wool carries a higher price tag than standard wool carpet. Beyond the initial expense, wool will cost more to clean. Wool may not be available in as many styles, sizes or colors as other options. Although it is considered relatively hypoallergenic, some people do have allergic reactions to the lanolin in wool. Wool is attractive to some insects, like moths and beetles. Wool can fade with prolonged sun exposure. Wool has limited pH tolerance. It will stain more easily with acidic spills, like wine, or when exposed to harsh, alkaline cleaners. Wool will sometimes discolor when it comes in contact with protein-based liquids, like pet stains. A protein itself, wool will bond with other proteins, making it impossible to remove some stains. When contemplating a wool carpet purchase, consider the application. A spot near a large, southern facing window isn't a good candidate for a wool carpet. Longevity is a consideration too. 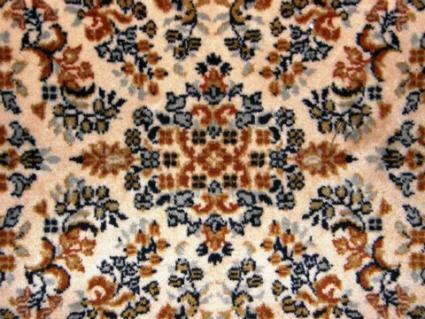 Wool carpet lasts longer than almost any other fiber. If you usually change your décor every few years, wool might not be for you.